I think we all can agree sometimes we have a love and hate relationship with laundry. Sometimes we love doing it and sometimes we just hate doing it. It sometimes can be quite the handful, especially if you have a large family. 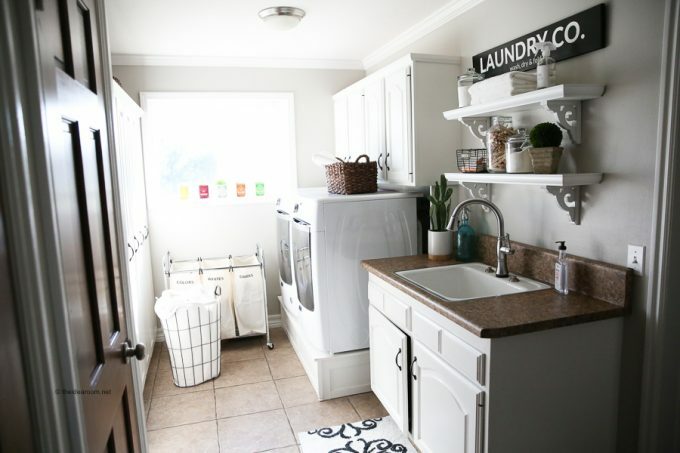 If you have a large family or are looking for more ways to be organized and efficient with your laundry then check out these Laundry Tips and Tricks for Large Families from The Idea Room.